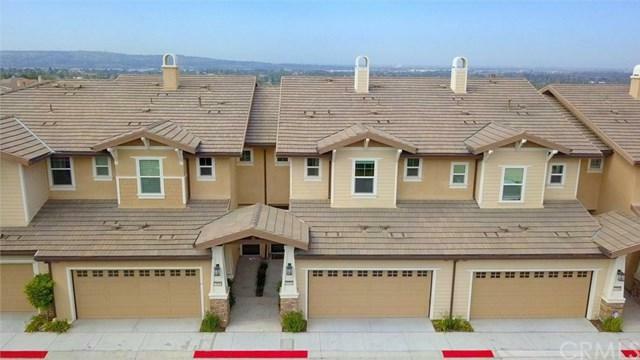 18642 Clubhouse Drive, Yorba Linda, CA 92886 (#OC18169609) :: Ardent Real Estate Group, Inc.
VIEW! VIEW! VIEW! This newly built home is located within the highly prestigious Palisades community of Vista Del Verde - within walking distance to the exclusive Black Gold Golf Course. Now is your chance to own this beautiful panoramic view home with unobstructed views of city lights, dramatic sunrises, and fireworks from your own living room. Gorgeous, spacious, and highly upgraded, this floorplan boasts 3 bedrooms, 3.5 bathrooms, and 2453 square feet of open living space. The main floor features exquisite hardwood floors, a chef's kitchen with oversized center island, stainless steel appliances, upgraded granite countertops, PLUS+G- a grand balcony adjacent to the large family room with a breathtaking view of the city. The lower level of this home features an equally elegant and spacious living area with a separate bedroom and bathroom, and access to the lush and picturesque backyard sitting area. Home also features a high quality water softener, a water filtration system, and tankless water heater. HOA $279/month. This home is minutes from top rated schools, the exclusive Black Gold Golf Course, and the highly anticipated Yorba Linda Town Center. Come visit this home and fall in love. Sold by Kristen Fowler of First Team Real Estate.